i know you are so ready for more in your business. More….. ✓ Freedom. ✓ Fun ✓ Impact. You know what your PURPOSE is and you’re committed to creating a business that allows you to make a meaningful difference in the world! You’ve got big plans. Yeah, you do! ✦ You want to go FULL-TIME in your business….BUT you’re not seeing enough clients to support you doing that. ✦ You’re ready to up-level your service and grow your community…. BUT you’re not sure where to focus your time. ✦ You’re ready to make the difference and impact you truly desire…. BUT you just don’t know how to do it! ✦ You’re ready to do what it takes to THRIVE…. BUT it already feels like you are doing #allthethings! ✦ You’re done with hustling + grinding… BUT you just don’t see how you can get the results any other way. Help?! When you started this thang, you wanted to create a business with ease, flow & alignment! Now, you’re starting to wonder is this actually possible?! Y.E.S gorgeous IT so IS! Are you ready to create a beautiful, heart-centred business that makes a positive difference in the world and allows you to thrive? ➳ THRIVE - financially, creatively, spiritually, emotionally and make a difference. ➳ Show up as the conscious, savvy, super-intelligent and powerful person you are. ➳ Create the financial independence + lifestyle freedom you crave. ➳ Make an impact using the gifts you were born to share. ➳ Do all of this in a way that feels FUN, ALIGNING & creates RESULTS! beautiful, we can do all of this + more. It’s time to expand your business in a beautiful, sustainable + powerful way that allows you to make your difference + thrive! Oh, yes! You are so R E A D Y. Choose the hours and location you work so you can live and work from wherever you please - yes, please! Use your inner cyclical wisdom so that you are creating with ease and manifesting like the powerful unicorn goddess that you are! Spend your day focussing on the areas of your business that light you up like a big, beautiful sparkly crystal. Create the income you desire so that you can invest in all the activities, experiences + causes you care about and that support you in showing up as your best self! It’s time to make that trip to Bali a reality!! Show up for your clients and community with confidence as the leader you truly are, owning your expertise - because that is exactly what you have - e x p e r t i s e.
Design your business in a way that feels easeful, flowing and fun so that you can show up in all areas of your life as the powerful person you truly are! Take that hustle n’ grind! We are all about the F L O W.
ALL OF THIS IS POSSIBLE + SO MUCH MORE!! all we need to do is tap into the power of your cycle using my unique feminine essence framework. CREATE A LIFE + BUSINESS THAT IS TRULY BEAUTIFUL TO YOU! 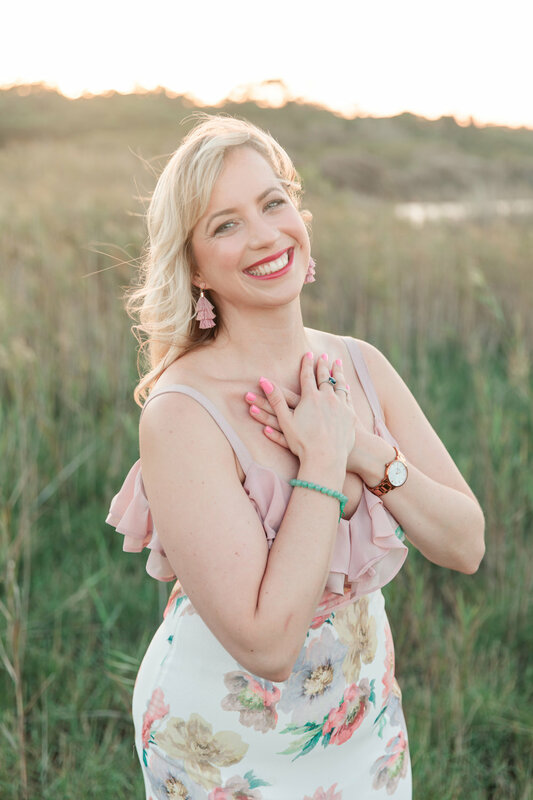 I’m a MENSTRUAL Cycle Expert & award winning LIFE + BUSINESS coach who helps purpose-driven entrepreneurs create the business + life of their dreams using their menstrual magic! ✧ prioritising + following your joy - yes more fun please! ✧ finding your soul-full business flow. Through my coaching framework, I help my clients become location independent, financially free + show up as an empowered leader in their communities + conscious business so that they are able to make their difference and experience the joy, lifestyle alignment and freedom they desire (and deserve!!). expand your heart-centred business using your most natural system of all. 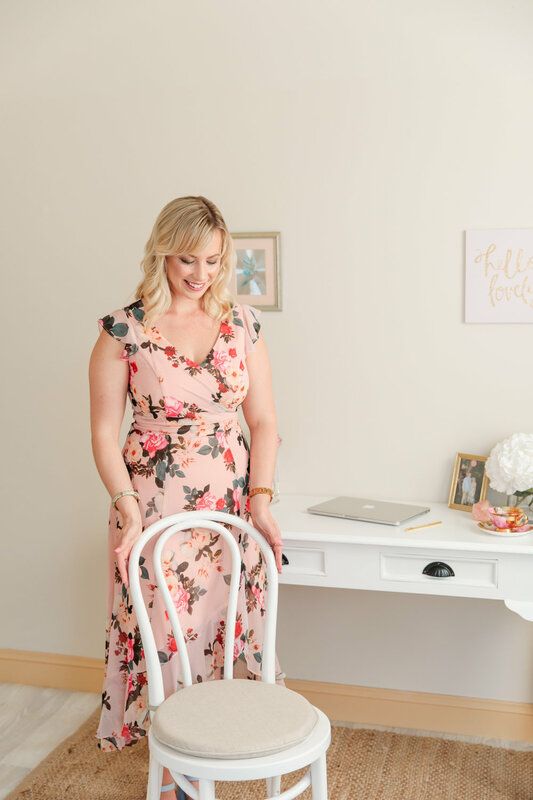 Let me allow you to skip all the hassle by giving you the tools I have learned and refined to create the successful + thriving business I have today. I understand what it takes to create the business you desire. From the moment I began my business I knew I wanted to create her in a way that felt fun, aligning and super authentic. I was over the corporate masculine hustle and grind model. And I had plenty of evidence by this time of it’s limited success! I desperately craved more freedom, fulfilment and fun in my life. Thankfully due to health scare that impacted my cycle, I was liberated by the wisdom of my menstrual cycle - learning for the first time the power of working with the 4 phases of our cycle. Our bodies are naturally designed to C R E A T E (and not just a baby, ANYTHING!!). We have an untapped system within our bodies right now and when you start working with this beautiful, exquisite system - you learn how to create in a powerful, sustainable and easeful way that will CREATE incredible results in your life + business!!! I attribute the business, lifestyle + creative success I have today to this incredible system. ✦ Left my legal career behind one and for all! ✦ Supported an amazing community of high-vibe womxn to align with their purpose and create their very own heart-centred businesses! I’m often asked how I have had the capacity to create so much in such a short amount of time. My secret is that I use a unique framework that combines the heart + the mind, the masculine & the feminine and the practical with the fun! My yin to my yang. I use all of my creative reserves in a way that allows for sustainable creativity, minimum effort and maximum results. Through this framework, I’ll teach you both the masculine and feminine tools for creating a business so that you have your strategy down, your lifestyle aligned + your mindset on board!! It’s time to tap into your full creative power + potential. This formula works with your inner cyclical wisdom - the menstrual cycle to grow your business (drawing on 6 steps for business growth!). Which we, no matter where we are in our life journey, can tap into. The menstrual cycle naturally shifts you between your masculine + feminine superpowers throughout the course of your cycle and your 4 inner seasons (Winter-Menstruation; Spring-Follicular, Summer-Ovulation and Autumn-Luteal). When you understand how to tap in the power and wisdom of your cycle - you will experience more creativity, alignment and flow in your life + business because you will be working with a powerful system designed to balance your masculine + feminine superpowers and work with your energy, rather than against it. I believe that life + business is meant to be fun. The only thing that stops business from being fun is ourselves - this is why Mindset + Lifestyle Coaching are fundamental pillars in this Business coaching program. The more fun you have in your life and business, the better off you will do! I will teach you how to create your business in a way that embodies this principle (my name means ‘happiness’ after all!). At each phase of your cycle, joy might mean different experiences for you - when we work together we get to the bottom of how joy shows up for you every step of the way! There is no upper limit with me by your side! I also know that each of us have different energy to work with. Some of us feel stimulated the more we work on what lights us up (hello Generators and MG’s!). Others will become drained after only a few hours no matter how much they love the work! Others are energised being around people. While some prefer to create in the quiet solitude of their home. I’m fascinated by how our personalities, human design, astrology and other factors can give us so much useful information on how we work best! When we work together, I profile you to create a tailored program that works for your personal energy so that we have you working with your body and not against it. My goal is always to have you creating from a place of flow and harmony. Co-creating with the universe. I am a student + teacher of manifestation, the law of attraction and ancient philosophies including yoga. Together we explore what your zones of genius are, how to bring your chakras into alignment in your life + business and how to open you up to creativity so that you are leveraging your time + energy, maximising your joy + fulfilment and innovating like the leader I know you are! Understanding your menstrual magic allows you to find your flow + understand the different zones of genius you have at different times in your cycle! This is a business superpower! READY TO TAP INTO YOUR MENSTRUAL MAGIC?! This program will help you create a business that is beautiful to you, one where you feel aligned with the income, impact & success you truly crave and where you feel in flow with life using your menstrual magic! Less hustle & strive, more flow, fun and ease! HIT YOUR FINANCIAL GOALS, SO THAT LEAVING YOUR DAY JOB BEHIND IS NO LONGER A DREAM BUT AN INEVITABLE REALITY! STRUCTURE YOUR BUSINESS SO THAT YOU ARE CREATING THE success, IMPACT AND LIFESTYLE YOU TRULY DESIRE IN A WAY THAT WORKS FOR YOU + YOUR BODY. structure your business so that you are creating the success, impact and lifestyle you truly desire. 11 x 50 minute 1-1 coaching sessions via Zoom so that we can get you hitting your income, lifestyle + business goals together! Unlimited email support throughout the program, including review of any copy, sales pages, templates or other written work so we can have your website, online presence and content speaking to your soulmate clients! Extra resources, worksheets, trainings and tools as needed throughout the duration of the program to help you move forward with fun, ease + alignment. PLUS YOU ALSO GET THESE incredible BONUSES! Voxer is a voice message system that allows us to exchange voice memos to one another so that you can ask me any questions you need in between our sessions - my clients love this! You’re ready to expand and make the difference you truly desire! Who’s ready to be the next MS thing?! Thank you, Leticia, for inspiring me to live a life that is truly aligned with who I am. " How do the coaching calls work? We will meet on Zoom (a video conferencing platform) for all our calls allowing you to call from anywhere you desire and meet face to face! How long will the program run for? The program runs for 6 months. I also offer an accelerated option over 4 months (doing 3 sessions per month instead of 2). What sort of coaching do you do? I’m a Life + Business Coach and Feminine Essence & Menstrual Cycle Expert who helps purpose-driven entrepreneurs create the business + life of their dreams. It's not just strategy that will take you to where you want to go in your business. You will need to make sure your mindset is on board every step of the way (and trust me, this will be your biggest hurdle) and you will need your lifestyle in alignment with HOW you actually want to live. With these 3 pillars (Business, Mindset + Lifestyle) you will be able to create a successful, thriving business that allows you to make your difference + experience the freedom, fun and fulfilment you crave. Why are you the right person? I use a mix of practical, business, marketing, mindset and heart-centred tools, strategies and know-how to move you forward in your business. 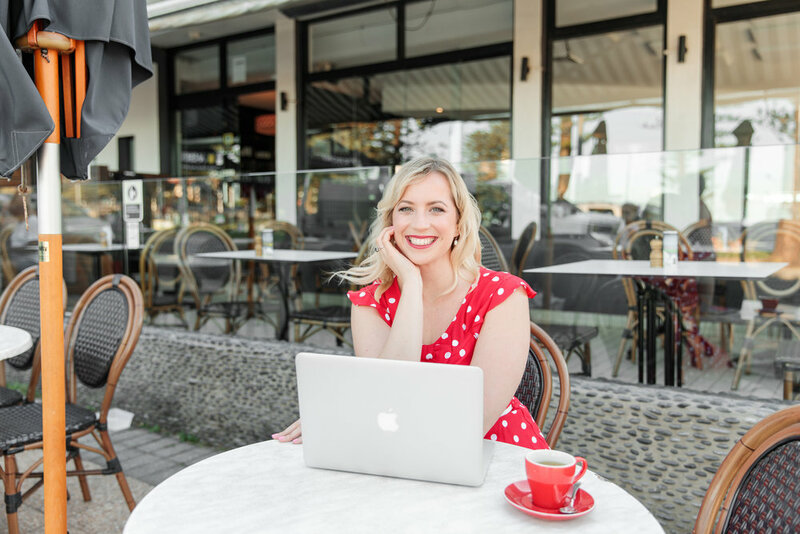 I have experience running my own successful, heart-centred, award-winning business and will be sharing the exact tools and processes I use in my own business. Do I need to be experiencing a menstrual cycle? Using my unique coaching framework that works with the power of your inner cycle - whether you are currently menstruating or not - we will have you building your dream business in no time. Do you offer refunds? Because I take my commitment to this work very seriously, I put a lot of preparation into each of my 1-1 clients. For this reason, to honour the commitment we each make to one another I do not provide refunds. All sales are final. Do you offer instalment payments? Yes, I do offer instalment payments. The most common arrangement is monthly instalments. How much time do I need to complete this program? What you put in you will get back. However, in saying that I work with people with varying availabilities. Our goal working together is to produce the maximum impact with the time + energy available. How do I get started?! Complete this application and I’ll get back to you within 48 hours to let you know whether your application was successful and if relevant to organise a discovery call to meet you. IT’S TIME TO MAKE YOUR DIFFERENCE + THRIVE!